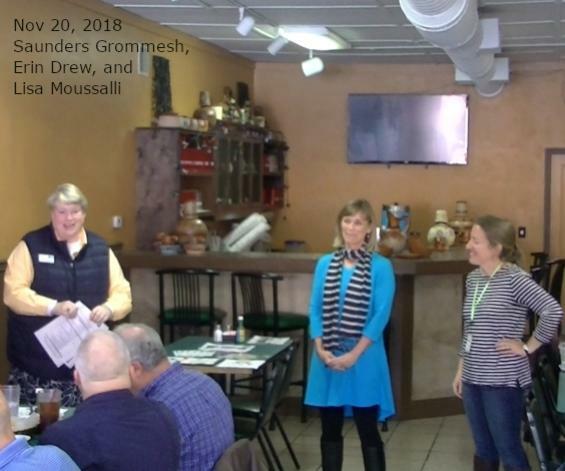 The Rotary Club of Brevard welcomed Resource Development Director Saunders Grommesh from United Way of Transylvania County, Executive Director Erin Drew from The Family Place of Transylvania County, and Community Play Group Facilitator Lisa Moussalli, also from The Family Place. To build a stronger Transylvania by mobilizing our community to empower people to improve their lives. 3. a financially stable household. What is the mission of The Family Place? The Family Place promotes and nurtures the growth and development of healthy families in Transylvania County by offering education, resources and community support to build positive parenting and communication skills and strengthen families for the benefit of every child. Many of our programs are documented to prevent child abuse and neglect.